MUMBAI: Recent heavy rainfall in India’s top sugar producing Maharashtra state will not hurt the cane crop, which is still expected to yield a record 9.3 million tonnes of sugar, a senior state government official said on Friday. "Rainfall at this stage is beneficial for the crop’s vegetative growth. We are expecting better cane yields," Anil Bansode, joint director at the state’s sugar commissioner’s office, said. The key cane growing Madhya Maharashtra region of the state got rains 194 percent above normal in the last week of August, data with the weather department showed. 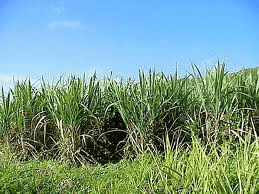 On Aug 5, the state’s sugar commissioner, Vijay Singhal, said the state was likely to turn in a record 9.3 million tonnes sugar in 2011/12 as cane availability was forecast to rise to 82.5 million tonnes on a higher area of sowing. Bansode said that forecast had not changed. The sugar year in India, the world’s second-biggest producer after Brazil, runs from October to September. India’s monsoon season, key for the 60 percent of the country that does not have adequate irrigation, runs from June to September, and is expected overall to be normal this year. "Most key dams are overflowing. Water in these dams will be used for irrigating the cane crop once the monsoon season gets over. There will not be any water shortage," Bansode said. The state has allowed 123 co-operative and 47 private mills to start crushing from October onwards, he added. Estimates of a rise in output in Maharashtra have allowed industry associations and trade houses to forecast India’s production at up to 26.5 million tonnes in the 2011/12 season, over the 24.2 million tonnnes estimated for the current season. The country’s annual consumption is around 22-23 million tonnes, giving it enough surplus for exports. Rahil Shaikh, managing director at trade house ED & F Man, has said India could export three million tonnes in the 2011/12 season as it should produce a surplus. The government has allowed a total of 1.5 million tonnes of Open General Licence (OGL) exports in 2010/11.